The 2300X and 2500X are AMD's newest Ryzen 3 and Ryzen 5 CPUs, respectively. They boost to 4.0GHz support all-core overclocking. Therefore, they may be seen as promising for starter or modest builds. However, both processors have been announced as exclusive to OEMs and SIs. The Ryzen 5 2500X and Ryzen 3 2300X are examples of AMD's 2018 CPU lineup. They support the new Precision Boost Overdrive functionality, which allows them to be overclocked on all cores. Both of these chipsets are quad-core, and are single-die for reduced latency. They have caches of about 10MB each, but are 12-nanometer and support reasonably fast DDR4-2933 memory. Therefore, these new CPUs may look like good foundations on which to build an at least mid-tier system. However, a recent report indicates that the two processors are in fact exclusive to system integrators (SIs) and pre-building OEMs. Therefore, it seems that AMD thinks the Ryzen 3 and 5 will be most attractive to mainstream consumers without an interest in putting their own system together. 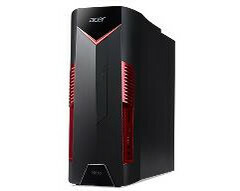 An example of a new Ryzen 5 pre-build is the Acer Nitro 50-100. It is a tower build with the 2500X at its base clock of 3.6GHz, 802.11ac WiFi, Ethernet (speed not given), 1 x16 PCIe lane, 1 USB 3.1 port and up to 4GB of Radeon RX580 graphics. Anyone thinking that slightly more can be brought out of the CPU inside would appear to be out of luck.